Every attack perpetrated by Islamic extremists is an attack against freedom of speech — whether they’re terrorising journalists and cartoonists at a magazine in Paris or bystanders having a quiet coffee in Sydney. These callous cowards seek to silence dissenting voices by waging a war of terror against anyone who dares question their twisted, totalitarian world view. The time for weasel words and treading on eggshells is over. We owe it to the growing number of victims to open our eyes and acknowledge the unmistakable reality that radical Islam and Western values cannot coexist peacefully. These extremists despise our way of life — our freedom, openness and diversity is an affront to their despotic, backward attitudes. We must stop pretending these incidents have nothing to do with Islam. They quite clearly have everything to do with extremist Islam and the sooner we admit this truth the better we can work to protect our people and values from this scourge. 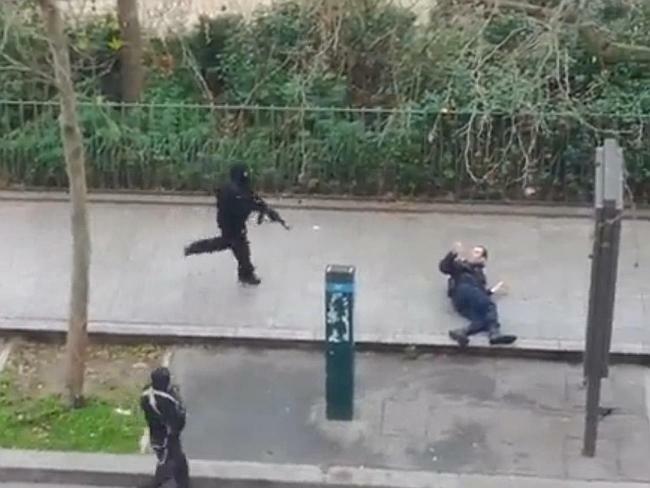 The viciousness of these subhuman savages was on display on the streets of Paris as they walked up to an injured policeman lying helpless on the ground and shot him dead at point blank range without missing a step. It mattered not that Ahmed Merabet was a Muslim. They didn’t care that his arms were raised in surrender. He was shown no mercy. These are not people who can be reasoned with or counselled into adopting our values of humanity, tolerance and liberty. We in the West must stop blaming ourselves for these acts of brutality. There are those among us, the so-called “progressives”, who seek to explain the behaviour of terrorists by pointing the finger at the victims. According to these enlightened souls, homegrown terrorism is our fault. We are to blame for not being welcoming enough, for creating an underclass of disenfranchised young men, for being part of the US-led coalition in the Middle East, for supporting Israel’s right to exist, for printing cartoons of the Prophet Mohammed, for raising the terror alert level — indeed if you rationalise hard enough any act can be considered provocation to Islamic extremists. This victim blaming is an insult not only to the victims but also to the overwhelming majority of Muslims migrants, who appreciate the abundant freedoms and opportunities available to them in countries such as Australia. It’s a mistake to presume that all Islamic people want us to change our ways or laws to better fit the values of their homeland. But there is undoubtedly a minority of troublemakers who seek to change our free societies into the type of place they fled from and, as we have seen around the world, it only takes one radicalised attacker to cause wide-scale mayhem. The barbaric death cult that is Islamic State has inspired a new legion of radicalised Islamic men, and even some women, to commit atrocities in the name of Allah against Western targets. But let’s not forget that it’s other Muslims who are the biggest victims of Muslim extremism. On the same day three heavily-armed gunmen butchered 12 innocent people in Paris, there was another terror attack in Yemen, where a suicide bomber killed dozens of police recruits outside a station. The death toll stands at 37 and will grow. However, it’s when these acts of base brutality occur in Western nations that many fully appreciate the threat radical Islam poses to the world. We should feel comfortable to readily call out elements within any culture or religion that are incompatible with our cherished values of equality, freedom and democracy. It’s time politicians, including the Prime Minister, stopped tiptoeing around issues involving cultural or religious sensitivities for fear they’ll be labelled intolerant. Nothing is gained by pandering to extreme elements in the vain hope that we’ll impress upon them that the path to assimilation is preferable to fundamentalism. The fear of Islamophobia and an imagined mainstream backlash against the Muslim community has become a bat used to beat down all valid criticism. 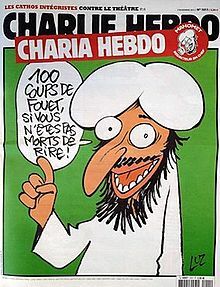 It is worth noting that, while the French satirical magazine Charlie Hebdo poked fun at Islam, it also regularly satirised Christianity and Judaism. And yet there have been no attacks by enraged Catholics or Jews. This reveals the lie that all religions are equally bloodthirsty; in the 21st century only one religion is at the centre of terror attacks around the world. We have followers of one religion who think they are entitled to butcher those who offend their prophet? Frankly, if your all powerful deity is so fragile a cartoon poses a threat then you may want to reconsider your belief system. The editor of Charlie Hebdo, Stephane Charbonnier, said in a 2012 interview, a year after his magazine’s headquarters were firebombed by Muslim extremists angry with a satirical cartoon, that they would continue “until Islam is made as ho-hum as Catholicism”. Shamefully, at the time, there was no shortage of progressives willing to blame the magazine and its staff for “inciting” the attack. In the same interview Charbonnier said: “I’d rather die standing than live on my knees.” Tragically he was among those murdered this week by Islamic extremists. We cannot be scared into silence or intimidated into self-blame; the problem lies with radical Islam — not our Western democratic societies. And even before the broken bodies of the dead French cartoonists had been removed from the scene of their slaughter, Muslim apologists of the American political left were taking to cameras and keyboards to make sure the apparent greater crime of political incorrectness was not perpetrated. CNN pundit Sally Kohn sent out a barrage of PC tweets that repackaged the foolish charge made years ago by fellow left-winger Rosie O’Donnell that, “radical Christianity is just as dangerous as radical Islam.” You can be forgiven if you’re struggling to remember the last time monks with suicide belts stormed a mall food court or a group of knife-wielding nuns beheaded an infidel before mass. Both scenarios elicit laughter because such behavior is totally out of the ordinary for followers of Jesus. Can you find nutjobs claiming to be Christian who have committed violent acts? Of course. But in every example you cite, you must also admit without exception that the offender didn’t justify his actions by referencing Christian Scripture, was not acting in accordance with the teaching of any mainstream Christian denomination, nor do there exist large groups of Christians dedicated to implementing such a strategy. Former elected chairman of the Democratic Party Howard Dean appeared on MSNBC actually attempting to say the same about Islam. “I stopped calling these people Muslim terrorists,” he proclaimed -- as though Howard Dean or anyone on the left has ever used that phrase with regularity. “I think ISIS is a cult. Not an Islamic cult. I think it’s a cult,” he stammered. This is precisely the same nonsense we’ve been hearing from American liberals for years. Simply recall that after the horrific attack at Fort Hood, where Muslim terrorist Nidal Malik Hasan jumped onto a table, shouted “Allahu Akbar” and massacred Americans in cold blood, the Obama administration labeled the event “workplace violence.” Or go online and watch Attorney General Eric Holder refuse to even act like he understands the phrase “radical Islam.” When you do, it should become apparent why events like this continue to happen. We are paralyzed with fear at the thought of honestly acknowledging the problem we face is within Islam itself. Every time Islamic jihadists strike, our society frantically searches for some reason to explain what provoked them: American foreign policy, the invasion of Iraq, a preacher in Florida who threatened to burn a Quran, the establishment of Israel after World War II, the events at Abu Ghraib, offensive cartoons, and on and on and on. But lost in this silly sideshow is the truth that Islam has been imitating their warrior prophet and fighting the world since the 7th century. Yes, thankfully there are a large number of Muslims today who choose to interpret their holy book in a manner that allows them to live at peace with others. But we can’t deny the reality that Islam is the only religion in the world where there is an open discussion within the faith about whether it’s acceptable to saw off journalists’ heads, burn children alive who don’t renounce their faith in Christ, massacre thousands by using jetliners as missiles, or slaughter cartoonists at a satirical magazine. And again, those acts of terror aren’t the product of some modern movement of Islamists who misunderstand and pervert their scriptures. It has been this way since Muhammad was perpetrating the violence himself. Multiculturalist blather and politically correct garbage prevent us from acknowledging that simple reality. Pretending there is some moral and ethical equivalency between all faiths is cultural suicide. Muhammad proclaimed, “I have been ordered (by Allah) to fight against the people until they testify that none has the right to be worshipped but Allah and that Muhammad is the Messenger of Allah.” Three Muslims in France merely followed that example this last week. That’s the real problem we continue to ignore. Well, something is driving us apart: We believe in freedom; the terrorists don’t. The hashtag #JeSuisCharlie (“I am Charlie”) dominated Twitter in the hours after the attack on the satirical newspaper Charlie Hebdo, which killed 10 members of the staff and two policemen guarding them. But are we all Charlie? Very few of us are cartoonists who revel in making fun of Catholics, Hindus, Jews, Muslims and other frequent targets of Charlie Hebdo. Even some press people scoff at such journalism. Yet it’s easy to understand that when people who make a living using drawing pencils and computer keyboards are gunned down, everybody’s freedom of speech is endangered. And while Rudy Giuliani, a Catholic, was angered by a city-financed art show depicting an elephant dung-covered Madonna, his reaction was decisively nonviolent. Guess what? An idea isn’t a human being. Neither is a sacred cow. And those who confront, dismiss, debunk, sneer at and fear them aren’t necessarily bigots. Not long ago, Saudi blogger Raif Badawi was sentenced to 10 years in jail and 1,000 lashes for blasphemy. His first 50 lashes will be publicly administered this week. Taking them all at once would kill the guy. But, then again, Badawi might be fortunate to be alive at all. The theocratic monarchs of Saudi Arabia don’t need the terrorists to punish their satirists, they can get the job done in-house. I don’t know about you, but I’m lash-phobic. I tend, as a matter of principle, to have a low opinion of people who dispense lashes. Religion, of course, is merely incidental to Badawi’s fate–as it is in the massacre of journalists in Paris or the bloodbath in Nigeria, where Boko Haram may have killed 2000 people this week. Or so I’m told. All of these instances of violence are perpetrated by random people, who by some happenstance share the same religious affiliation. And to bring this up–according to Vox and other some outlets–may be Islamophobic. Islamophobia is defined, at least by Wikipedia (and it’s fair to say it’s a pretty decent reflection of how we use the word), as a term for prejudice against, hatred towards, or fear of the religion of Islam, Muslims, or of ethnic groups perceived to be Muslim. Detesting ideas and hating people are not the same thing. Muslims are, and should be, protected equally under the liberal principles everyone else enjoys. Yet, for some reason, when it comes to our discourse, Islam is given a special dispensation from the standards that apply to everyone else who operates under these rules. A criticism of a faith – and the customs and philosophy that go with it – has been transformed into an act of racism. I’ll never understand why so many on Left feel compelled to provide the most pervasively illiberal ideology on Earth this kind of cover. Nor, for that matter, why so many of my fellow atheists reserve their venom for Christianity (a religion that made secularism possible) while coddling an ideology that would surely destroy it. And not all atheists, of course. After that March episode of Bill Maher’s HBO show, the one where Ben Affleck called criticism of religion “racist” – because, why not? – the noted atheist Sam Harris predicted the post-Charlie Hebdo environment perfectly. HARRIS: Yes, well, we have a kind of dogma of political correctness here which is stifling conversation. Many liberals want to grade Islam on a curve. You know, that just — they’re not expecting the same kind of civility and openness to free speech and other liberties that we hold dear, and are right to hold dear, from Muslims throughout the world. And so when cartoonists draw the wrong cartoon, and embassies start burning, we criticize the cartoonist, and we criticize the newspapers that printed the cartoons, and we practice self-censorship. We have — there was an academic book at Yale University Press on the cartoon controversy that wouldn’t publish the cartoons. This is just madness. To prove that all faiths share the same propensity for violence, apologists must cast a net over the entire breadth of human history. My guess is that any reasonable person would concede that few groups in history are innocent. (I’m sure not all the Amalekites had it coming – and for this I apologize.) But the thing is, if you have to reach back to 1572 to make a connection between Catholic hostility and modern Islam, you’ve already lost the argument. In this world, today, right now, when it comes to religious violence there’s really only one game in town. Everyone has their extremists, it’s true. The twit who leaves a homemade gas-canister bomb near an NAACP office, though, is not being funded with billions, applauded by millions and participating in worldwide struggle to terrorize civilians and destabilize his own already brittle society. There is no comparison to make. And trying to divorce violence from Islam is the most intellectually dishonest and historically illiterate argument going right now. To do this, we need Howard Dean and Ezra Klein to bore into the consciousness of terrorists and discern their true beliefs and intentions. Klein argues that Charlie Hebdo massacre was nothing more than ”unprovoked mass slaughter” that had nothing to do with blasphemy or Islam. Why do blasphemy laws exist in most Islamic nations, you ask? Just for show, apparently. Why are mentally ill men gunned down in the streets for breaking those blasphemy laws? For kicks. Why do Christians live in fear throughout the Middle East? Dunno. This is an absurdly naïve understanding of the power of Islamic faith. Alas, as convenient as this argument is, I’m not sure this is Dean’s call. While “Allahu Akbar” is being screamed before the murder sprees, I’m going to go Occam’s razor on this. Because though there might not be any braver people in the world than Muslims who stand up to radical Islamists, factional infighting is a hallmark of religious violence. It’s the sort of thing Christianity has (mostly) gotten past. And the reason the vast majority of ISIL’s victims have been Muslim, is that other types of people have been situated beyond its reach. What is less obvious to me is why liberals aren’t more inclined to defend the right of people to be critical of all religions. Why aren’t they more interested in why Islamic ideas so often manifest in violence? Why do the practitioners of these ideas find themselves in clashes with every culture they touch (Jews, Hindus, Christians, and all others)? Seems like a tolerant liberal would be phobic about the stoning of gays or the institutionalized dehumanization of women that’s rampant in “moderate” Muslim nations – forget radical Islam. Instead, they expect people to cower from one of the “stupidest neologisms” to be concocted in years. A. These people did not deserve to be murdered. Obviously. B. They are not martyr saints. C. Freedom of speech is not a “god” unto itself. Only God is God, and His rights trump ours. Americans, in particular, have a tendency to worship the Constitution and the American governmental paradigm, particularly with regard to the “rights of man” over and above God. Careful with that. It’s a very slippery slope. D. The issue here is islam, and the fault, blame and culpability for these murders lies squarely in the lap of islam and nowhere else. No excuses can be made, no justification can be fabricated, no quarter can be given. Islam cares not a whit about our arguments amongst ourselves regarding freedom of speech or anything else. All islam cares about is complete earthly submission to islam, and it will happily let us argue amongst ourselves while it slaughters us where we sit.